German sculptor. He was resident in Ulm from 1449 to 1491; his family were joiners from the nearby town of Sflingen. In 1456 he owned a house in the Ulmer Gasse and by then was probably running a workshop for which a number of sculptors worked on a temporary basis from the end of the 1460s. He himself probably carved only the minor sculptures in his works of joinery. 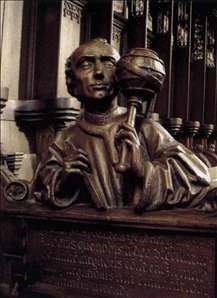 His art-historical status rests mainly on whether or not busts at the ends of the Ulm Minster choir-stalls can be attributed to him. If they can, he was one of the best sculptors of German Late Gothic, but if not, his oeuvre amounts to no more than some pieces of joinery, some large joinery commissions (executed by his collaborators) and possibly some sculptures of average quality. 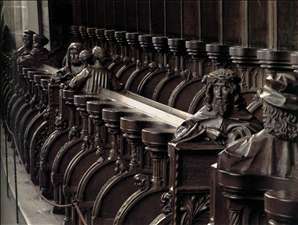 See more details about "Choir stalls"
See more details about "Ptolemy"